"In investigating Defendant's false statements and false police report, the City incurred significant costs in order to provide services reasonable related to Defendant's conduct." The City of Chicago gave Smollett a deadline of April 4 for him to pay $130,106 or they would sue him. That civil suit was levied Thursday -- one week after the deadline passed without payment. A day after the deadline passed, a lawyer for the actor responded by saying Smollett "will not be intimidated into paying the demanded sum." The lawsuit lays out a very detailed account of the allegations against Smollett, who told police in the early morning hours of Jan. 29 that he was attacked by two men who hurled homophobic slurs at him, wrapped a noose around his neck and poured an unknown liquid over him. The timeline includes a 41-point blow-by-blow, from when Smollett first met the Osundario brothers -- the purported attackers -- in the fall of 2017 until the final allegation that Smollett continued to be in contact with the brothers in the days after the alleged attack. 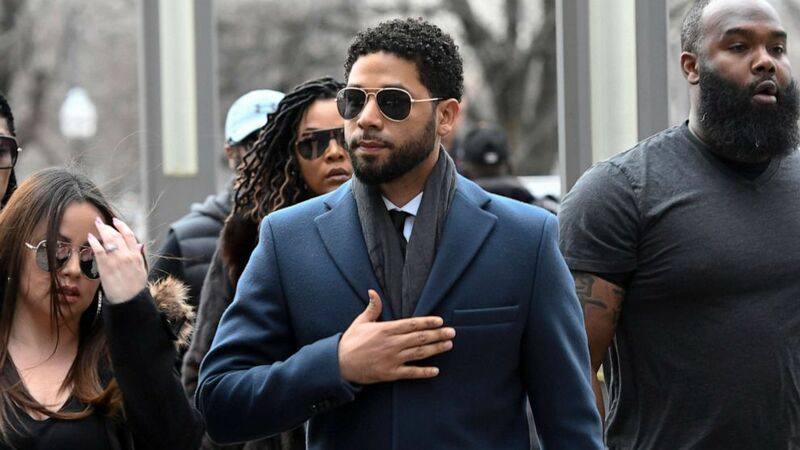 Charges against Smollett were dropped at a surprising emergency hearing on March 26, upon which the "Empire" actor falsely claimed he was exonerated of the allegations against him. Despite that claim and the dropped charges, First Assistant State Attorney Joe Magats actually said, "We stand behind the investigation and the facts revealed." "This was not an exoneration," Magats said. "To say that he was exonerated by us or anyone is not true." Smollett has continued to claim he is innocent of all accusations made by police. He voluntarily forfeited 10% of his bail amount, $10,000, and performed 16 hours of community service in exchange for the charges being dropped. "Jussie was attacked by two people he was unable to identify on January 29th," his attorneys, Tina Glandian and Patricia Brown Holmes, said in a statement after the charges were dropped. "He was a victim who was vilified and made to appear as a perpetrator as a result of fake and inappropriate remarks made to the public causing an inappropriate rush to judgement."